Mr. Anthony Valdez's role as a Tenant Improvement Senior Project Manager at Stiles consists of coordinating space plans, construction documents, vendor selection, bidding, permitting, and construction management. His role as the liaison between the landlord, tenant, architect, engineer, general contractor and vendors enables clients to interact with a single point of contact, resulting in a consistently high level of service and response by an experienced professional who represents the client's best interests at every stage of the project. Mr. Valdez has more than 18 years of experience in project management, and he has worked both as a general contractor and as an architect on a variety of interior project types including corporate offices, law firms, government facilities, call centers, non-profit organizations and medical suites. His wide-ranging career has afforded him significant hands-on experience in managing multiple responsibilities on every project, providing a level of service and quality that begins at the onset of the project. 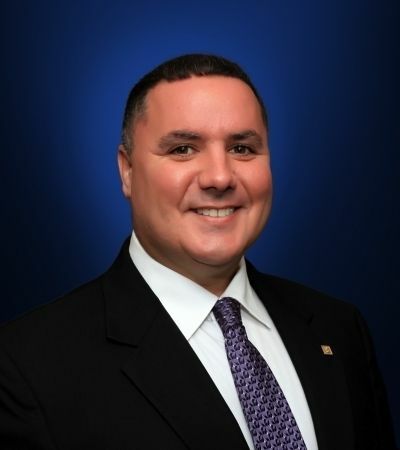 Prior to joining Stiles, Mr. Valdez was a Senior Project Manager in the Miami office of CB Richard Ellis, an international real estate brokerage firm, where he managed tenant improvement and capital projects throughout South Florida. Earlier, Mr. Valdez was an Associate in the Washington, DC office of Gensler, an international, award-winning design firm based in San Francisco, where he managed several long-term, nationwide accounts including Office of the Comptroller of the Currency (a branch of the US Treasury Department), IBM and Bell Atlantic (now Verizon). Mr. Valdez also managed projects for several non-profit organizations in Washington, DC including the award-winning Moore Foundation, Downtown DC Business Improvement District, and Open Society Institute. Prior to working at Gensler, Mr. Valdez worked as a Senior Project Manager at Solutions Incorporated, a general contractor based in Tampa. His responsibilities at Solutions Incorporated included complete interior design-build services ranging from test fits and space planning all the way through construction management and tenant occupancy.